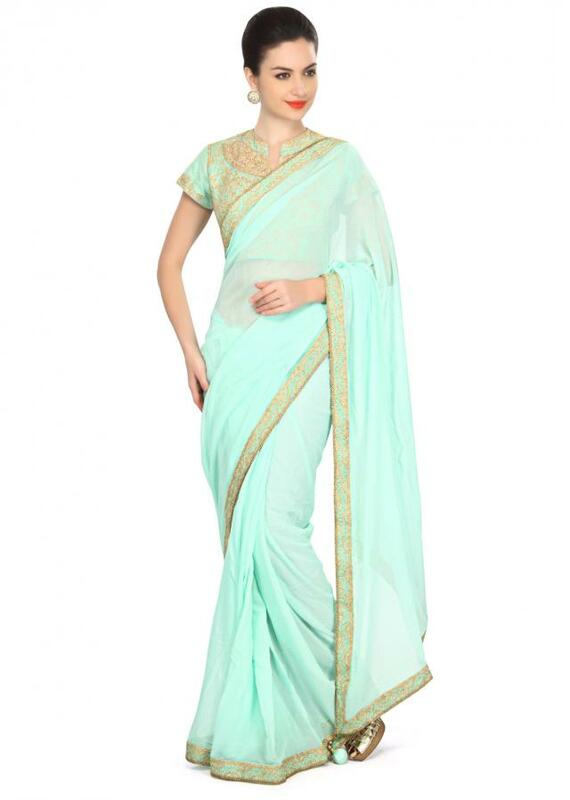 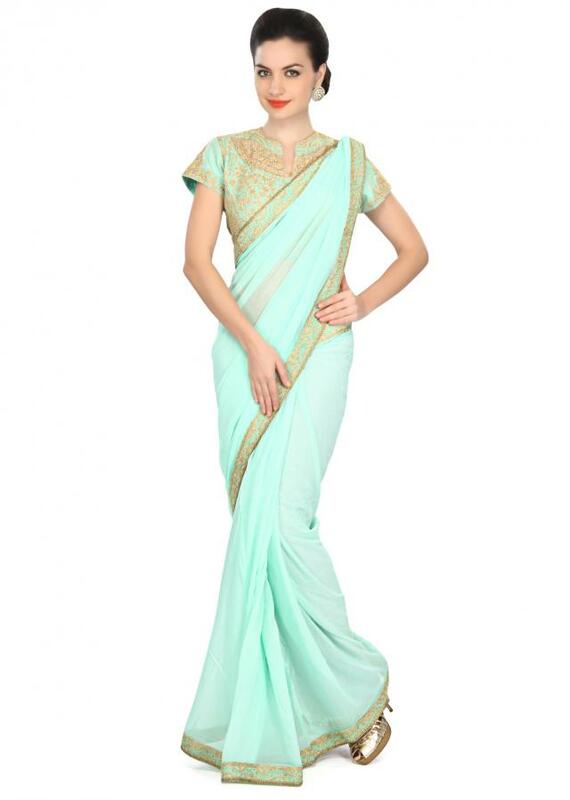 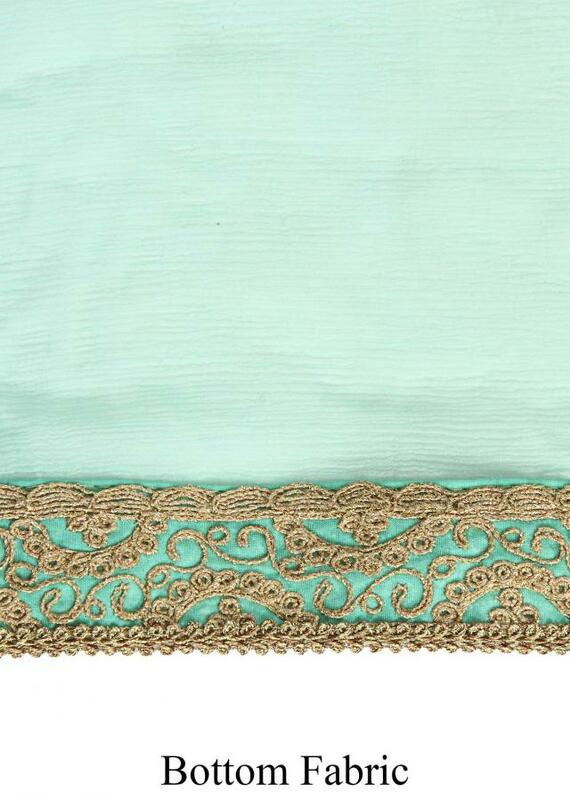 Mint blue saree featuring in chiffon. Border is embellished in zari embroidery. 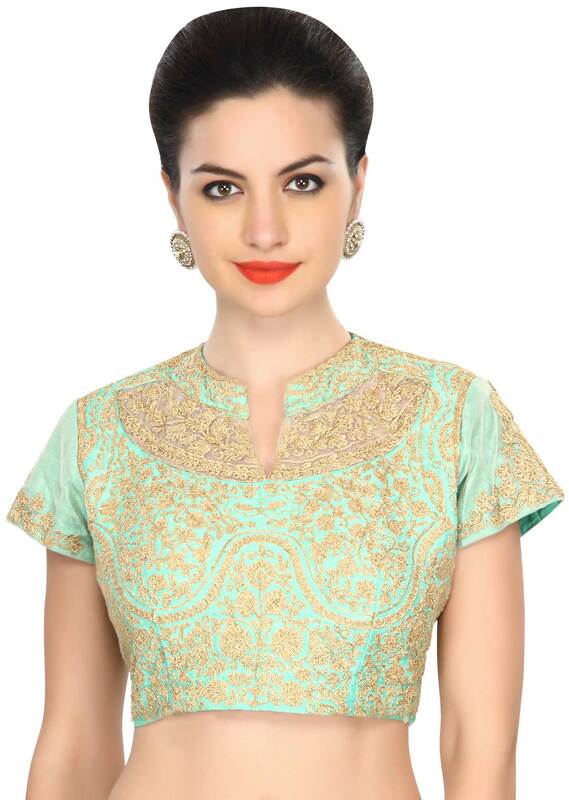 Matched with ready blouse in pink raw silk.